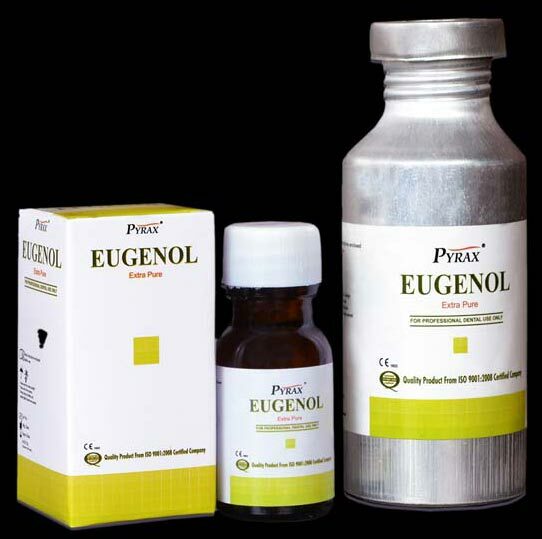 We are a prestigious Manufacturer, Exporter and Supplier of Eugenol in India. Eugenol is mixed with zinc oxide powder to be used as a temporary cement in dentistry applications. Dental Conservative Material is also applied for temporary relief of localized pain. Dentist use Eugenol as a cavity liner under most restorative material. Our Eugenol is a 99% pure extract of oil of cloves. Packing : 15 ml /100 ml.